Product prices and availability are accurate as of 2019-03-25 17:15:15 UTC and are subject to change. Any price and availability information displayed on http://www.amazon.com/ at the time of purchase will apply to the purchase of this product. 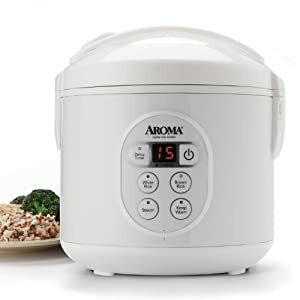 Easily make restaurant-quality white and brown rice, healthy steamed meals and hearty soups and stews with the aroma 8-cup digital rice cooker and food steamer. 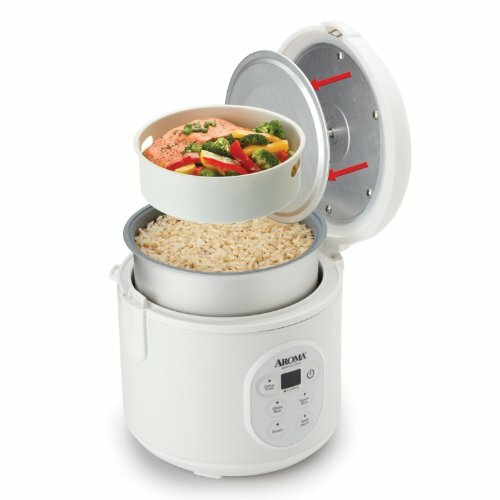 It flawlessly prepares 2 to 8 cooked cups of any type of rice with specialized functions for white rice and brown rice. The included steam tray allows for meats and vegetables to be steamed while rice cooks below for easy, one-pot meals. The programmable 15-hour delay timer allows for rice and water to be added in the morning and programmed to have it hot and ready when it's needed at night. When the cooking is done, the nonstick inner cooking pot removes for quick and easy cleaning.